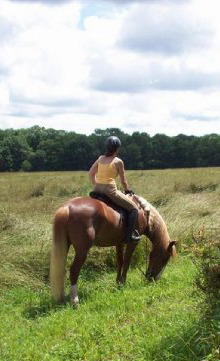 Please be sure to check out our "Blog" and "Our Pictures" pages for recent Horse Friendly activity in the Wissahickon. Check the Calendar & Events Page for upcoming workshops, clinics & workdays! Courtesy Stable is a distinctive facility, located in the Wissahickon Valley of Philadelphia's Fairmount Park. With over 9,200 acres, Fairmount Park has been called "one of the largest urban parks in the country". Courtesy Stable is located in an urban setting, bordered on two sides by residential housing and on the other two sides by Fairmount Park. We believe the stable is uniquely situated to offer local residents in the surrounding community, as well as visitors to Fairmount Park, access to an equine environment that they might otherwise be unlikely to experience. Courtesy Stable has capacity for 12 horses. All of our box stalls are lined with rubber mats and pine shavings. Horses are turned out daily, in three turnouts, where the horses have all day to exercise and socialize. The lighted riding arena has recently been resurfaced with new footing, which we’ve heard “straight from the horse’s mouth”, is a joy to play in. Enjoy riding through Fairmount Park's 56 miles of beautiful trails by entering the park at the Houston Meadow trailhead located directly behind our exercise ring. 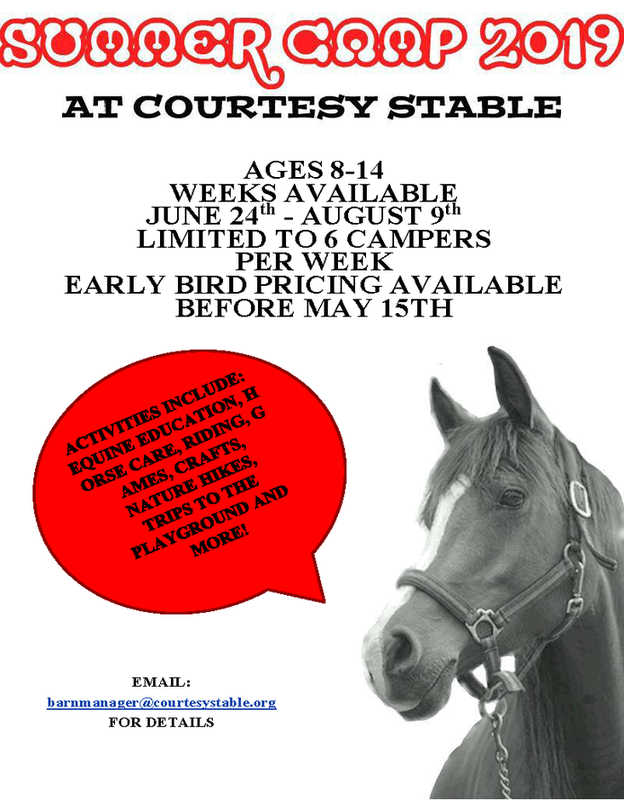 For information on "Sharing Trails with Horses" from the PennsylvaniaEquine Council click here.